The Scarcity Mentality, which says that there is not enough to go around and therefore I must hold on tight to what I can. I subscribe to the Abundance Mentality and this is why. I was asked to speak at a convention. I was met at the airport by the owner of the company that I was speaking for. He drove me to his home for dinner. His car cost over $100,000. His $8.5 million home was the largest and most beautiful I had ever seen. On a tour of the home, he informed me that there was 3.5 million dollars’ worth of art in the house. We had a lovely dinner together and then I spoke at his convention. During the flight home, I had two powerful, yet seemingly opposing, emotions. The first was a question: Could he get by on a 2 or 3 million-dollar home and do something with the difference that mattered? The second, even more powerful, emotion was the conviction that I would defend his right to have that $8 million home with my life because that’s what America is all about. It was on this flight that I had the epiphany of the Abundance Mentality and what it means. I realized that the minute you can look in the mirror and say to yourself, “I have sufficient for my needs,” you are wealthy. Why? Because you don’t need any more. You have enough. If you can be creative enough to generate more than what you need, you then have a stewardship to use the difference between what you need and what you have, to do something that matters. In 1992, I stood with my wife on the floor of the stock exchange watching the Franklin Quest symbol come up on the big board for the first time. I realized then that I was wealthy. A little voice in my head said, “Are you going to put your money where your mouth has been?” It’s easy to preach the Abundance Mentality when you are broke. We had to make a decision about what we were going to do with our ‘difference.’ My wife and I made a commitment on the floor of the stock exchange that we would die broke. But we decided to test an old scriptural principal, which says, “Cast your bread on the water: for thou shalt find it after many days” (Ecclesiastes 11:1), which means in modern day verbiage that what you give away comes back tenfold. What we decided to do with our ‘difference’ we prefer not to make public, but we have discovered the magic of the Abundance Mentality. It does come back tenfold. The only way you can discover the validity of the principle is to identify your difference, give it away and watch the miracles happen. 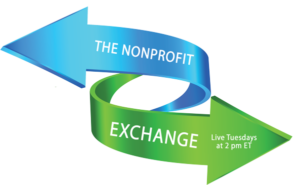 This article is reprinted from Issue #4 of Nonprofit Performance Magazine. Subscribe today!